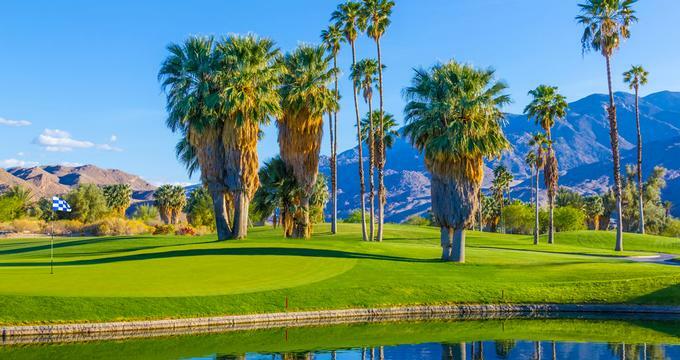 Palm Springs, California, is a popular weekend destination on the West Coast, offering visitors a combination of great weather, stunning scenery and a diverse choice of accommodations. From spas, golf and gardens to museums, outdoor events and famous sights, you are sure to find something fun to see and do in this beautiful desert city in California. Best things to do in Palm Springs, CA, include Palm Canyon Drive, the Palm Springs Art Museum and the Palm Springs Tramway. 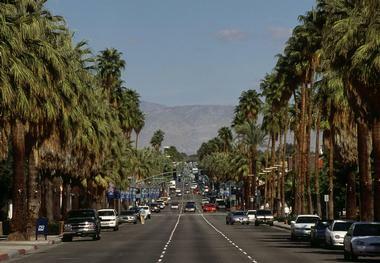 Palm Canyon Drive is the main downtown area of Palm Springs where many of the city’s attractions, galleries, restaurants, and shops are found. 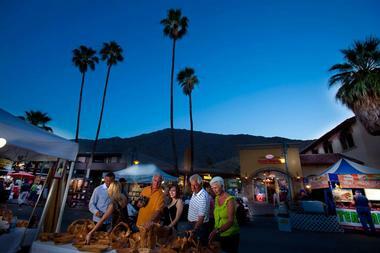 It is also the home of the weekly Palm Springs VillageFest. There are several museums on Palm Canyon Drive, including the Aqua Caliente Cultural Museum, the Palm Springs Historical Society, and the Cornelia White House. 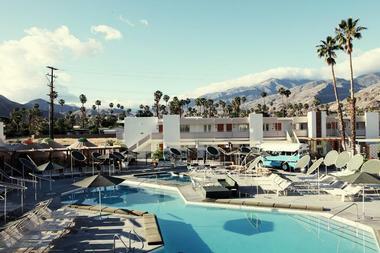 If you are wondering what to do in Palm Springs, California today, this is a great place to start exploring. Located on North Museum Drive, the Palm Springs Art Museum is an institution devoted to regional art, performing arts, and natural science. Founded in 1938, it was formerly called the Palm Springs Desert Museum and was housed in a room in La Plaza Arcade. In 1958, a new 10,000 square foot facility was built for the art museum; this was expanded in 1962 to include an auditorium and several new galleries. Today, the museum resides in a 75,000 square foot Modernist style building. The Palm Springs Art Museum is one of the best things to do in Palm Springs CA for art lovers. The art collection includes contemporary art, art glass, and sculptures, while the natural science collection contains items from many fields such as archaeology, biology, and geology. Music, dance, and theater performances are also held in the Annenberg Theater. When you want to get out of Palm Springs for some change of scenery, your best option is to take the Palm Springs Tramway, the world’s largest rotating tramcar. Completed in 1963, the tram takes you for a 10-minute long, 2.5-mile ride. The trip begins at Valley Station and ends at the Mountain Station, located at an elevation of 8,516 feet. 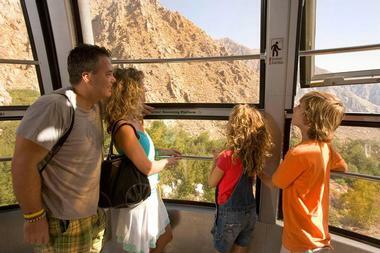 The tram is the city’s most convenient gateway to the surrounding San Jacinto and Santa Rosa mountains. At the end of the tram ride, you will find yourself in the Mount San Jacinto State Park and Wilderness Area. In the summer, you can take a guided nature walk and search for elusive wild animals or go hiking or camping. Winter offers a wide range of different adventures that you can take on skis, on snowshoes, on foot, or with kids. Peaks restaurant, at 8,500 feet elevation, offers a spectacular view of the Coachella Valley and serves delicious locally sourced food. The fresh vegetables, poultry, and dry meats on the menu all come from Coachella Valley. For lighter fare, you can try Pines Café, which features a cafeteria style dining room in which you can have a piece of pizza, a sandwiches, soup, or salad. 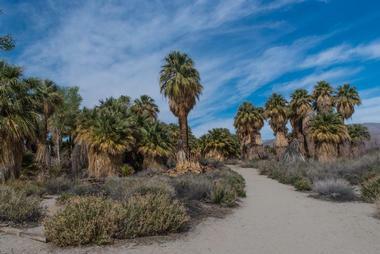 Located on Thousand Palms Canyon Road in Thousand Palms east of Palm Springs, the Coachella Valley Preserve is a protected area of approximately 880 acres just north of the Indio Hills. 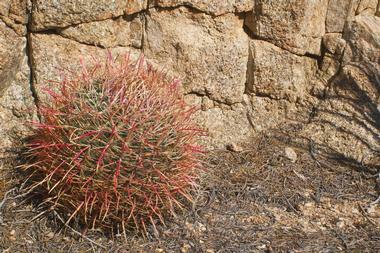 This unique habitat is one of the top Palm Springs points of interest. It consists of desert wetland and palm woodland oases, and is the home of the endangered Coachella Valley fringe-toed lizard. The Visitors’ Center is housed in a charming old building constructed during the 1930s and 1940s. There are 28 miles of trails that begin at the Visitors’ Center and lead through a variety of landscapes. In addition to hiking trails there are also horseback riding trails. Guided hikes are available from October to March. The Palm Springs VillageFest is a street fair that is held every Thursday night on Palm Canyon Drive in downtown Palm Springs. Also known as the Palm Springs Street Fair, it features three city blocks of art, entertainment, food, and shopping. Merchants on Palm Canyon Drive keep their shops open late during the street fair on Thursday nights so that visitors can enjoy the fair and do some shopping at the same time. Members of the street fair include antique dealers, arts and crafts makers, writers, and food vendors, among others. A variety of entertainers perform all styles of music at the street fair including solo singers, instrumentalists, and groups. Palm Springs has been a tourist destination since the 19th century, but centuries before that, the area was populated by Indians. Most of the complex and sophisticated Cahuilla communities settled in the Murray, Palm, Andreas, Chino, and Tahquitz Canyons. They grew melons, beans, squash, and corn and gathered seeds and plants for medicines, food, and basket weaving. Today, visitors can see the remnants of their way of life, including house pits, rock art, foundations, ditches, irrigation, dams, reservoirs, and waking trails. Visit nearby Tahquitz Canyon and three other canyons to the South, all of which are part of the National Register of Historic Places. 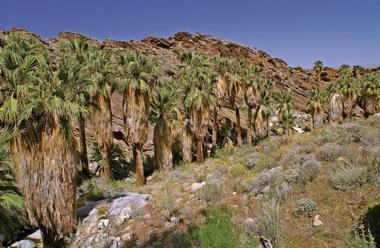 Palm Canyon is also famous for being the largest California Fan Palm Oasis in the world. The canyons are fantastic for exploring on foot or on a horseback, for picnicking by the stream, or even for meditating. Visit the Trading Post in Palm Canyon for maps, food, drinks, and Indian arts and crafts and to hear about some fascinating cultural lore. The Alexander Estate, also called the House of Tomorrow, is a mid-century icon of modernism. Writers have extensively praised its architecture, but it is much more famous for being the place where Elvis and Priscilla Presley spent their honeymoon, and it is where they lived between 1966 and 1967. There are special events organized every year to celebrate this event, along with Elvis’ birthday and death. You can follow one of the expert guides during one of the daily tours to learn about this monumental event and the life of the famous star. You can also rent the house for your own wedding or another special event. 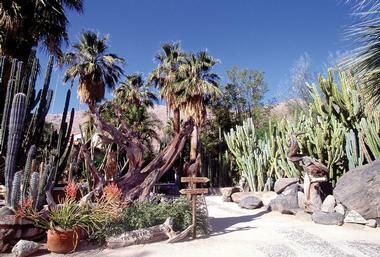 The Moorten Botanical Garden is a one-acre garden that features cacti and other desert plants. Located on South Palm Canyon Drive, it is a family-owned garden that Patricia and Chester “Cactus Slim” Moorten, one of the original “Keystone Cops,” established in 1938. The couple collected plants from Baja California, Mexico, and other countries as far south as Guatemala. Today, the garden is home to more than 3,000 plants arranged by geographic region. Group tours are available, and the garden can be rented for special events such as weddings and parties. Call for opening times. If you are looking for things to do in Palm Springs with kids, this is a great place to visit. Located in a refreshing and verdant area facing East Palm Canyon Drive, Sparrows Lodge gives off an aura of friendliness and relaxation that you will notice even before you get inside. First constructed in 1952 as Castle’s Red Barn, a getaway resort for Hollywood stars, the Sparrows Lodge of today has retained many of the original features of the original Red Barn. The rustic charm extends from the lovely hand-painted sign of two sparrows to each individual room. Exposed ceiling beams, deep horse troughs for bathtubs, concrete floors, and metal lockers instead of closets create the ambience of a fun summer camp. The Lodge has a traditional communal barn for socializing and inviting outdoor spaces with a fire pit and vegetable garden. The Lodge is arranged with tasteful décor in the form of a nice collection of original art. With no TVs or phones in rooms, Sparrows Lodge provides the perfect romantic getaway. Located on 20th Avenue, Palm Springs Windmill Tours provides visitors with a windmill farm tour led by experienced guides who teach about windmills and wind as a source of energy. Visitors learn about the history of windmills while viewing historic pictures exhibited inside the tour building. There are also outdoor exhibits that give further context to the history of wind power and windmills. The two hour tour also includes a guided bus tour through the working windmill farm. The first windmill was built in Palm Springs in 1982. Today, there are over 4,000 windmills spread over 70 square miles. These impressive windmills provide enough power for Palm Springs and the Coachella Valley. 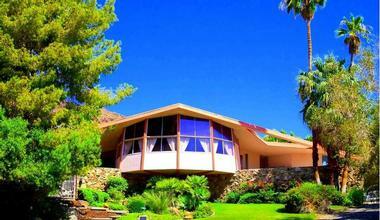 If you are looking for great Palm Springs activities, take a look at this unique tour. 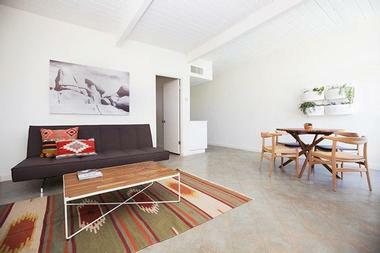 The Amado is a small architectural gem located in a quiet residential neighborhood of central Palm Springs. This unique hotel has only five units and six bedrooms, and each unit has its own kitchen and living room. A swimming pool surrounded by fragrant citrus trees serves as a communal area for guests who want to swim or relax poolside. The area features large plush day beds, a communal dining table, and, of course, a barbecue. Here, mid-century architecture a meets clean, minimalist look, and the establishment features plenty of white, charming yellow doors, and rustic cushions made of old kilims. It is a lovely place to rent out completely with a group of friends, or you can come alone and make new friends. Located in the serene gardens of the legendary Two Bunch Palms Resort and Spa, the Essence restaurant shares the resort’s refined taste and luxurious aura. The dining room is elegant and furnished with plush and comfortable chairs, and the view of the mountains is truly phenomenal. 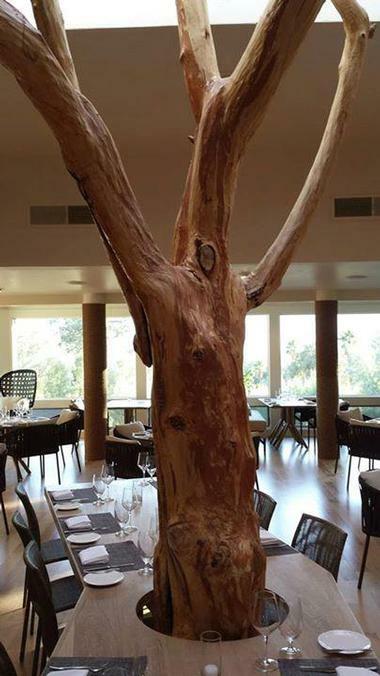 The natural wood and slate flooring are aesthetically pleasing and continue the natural theme of the restaurant. 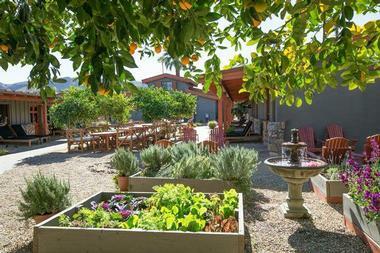 Their gourmet California cuisine is organic and healthy and uses local ingredients. Try the Citrus Scottish Salmon with quinoa, flax seed, onions, cranberries, mixed greens, bell peppers, and a champagne yogurt-based emulsion. Located in Coachella Valley in the San Jacinto Mountains near Palm Springs, Tahquitz Canyon has been continuously inhabited by the Agua Caliente Cahuilla Native American tribe for more than 2,000 years. The canyon plays a particularly important role in the creation myth of the tribe, a story that never fails to fascinate visitors. The Tahquitz Canyon Trail begins at the Visitor Center and climbs 350 feet to the beautiful Tahquitz Falls. The two-mile loop trail is rocky and steep; there are no restroom facilities and little shade, so hikers should dress appropriately, carry water, and protect themselves from the sun. The canyon is open Friday, Saturday, and Sunday from July to September, and daily from October to June. 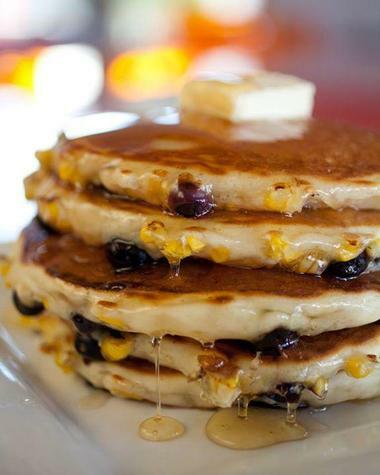 Located in the elegant boutique hotel Saguaro on East Palm Canyon Drive in Palm Springs, El Jefe takes Mexican street food to an entirely new level. Celebrated chef Jose Garcia makes simple yet impactful fare such as tacos, which you can enjoy in the cozy dining room or by the hotel pool. Try his tacos with shrimp, chorizo sausages, refried beans, radishes, and tomatoes, a flavorful dish that never disappoints. 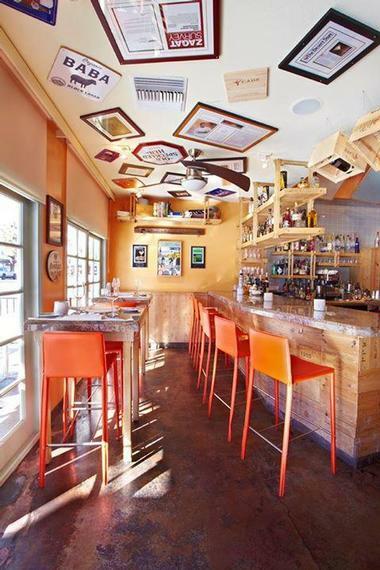 If you are looking for romantic date ideas in Palm Springs, El Jefe is a great place to visit. For the perfect accompaniment to your meal, try one of the fresh seasonal fruit margaritas or an ice-cold Corona. The restaurant features live music during happy hour. Rio Azul serves delicious Mexican cuisine using the secret family recipes Chef Ernesto Gastelum brought from Mexico, his homeland. The celebrated Abuelita’s Albondigas soup really did come from his grandma Albondigas and he inherited the recipe for his Tia Maria’s Green Corn Tamales from his aunt Maria. He gave the dishes his own special flair, but the flavors remain authentic, and everything tastes homemade. 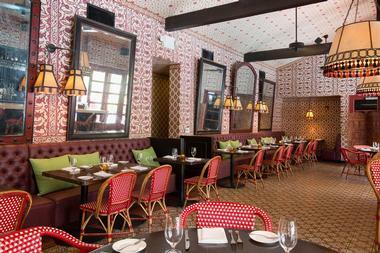 The lovely blue ceiling and terracotta walls of the inviting dining room add to the communal atmosphere. Stop by for happy hour; the chef always prepares special small treats to go with the house margaritas. Power Yoga Palm Springs offers Yoga in the Park classes on Saturday mornings at the Wellness Park in Ruth Hardy Park at 700 Tamarisk Lane. Experienced yoga teachers lead the one hour class, which is donation-based. The mission of the program is to offer outdoor yoga classes that are accessible to everyone. The natural setting with trees and other plants and its inspiring view of the San Jacinto Mountain is conducive to focusing on maintaining yoga poses. In the event of inclement weather, the Saturday morning class is held in the Power Yoga Palm Spring Yoga Studio located on North Palm Canyon Drive. Tiki bars come in and out of fashion, but if you are ever in the mood for a colorful drink with a little umbrella sticking out of it, check out Palm Springs’ new offspring of the legendary 55-year-old North Hollywood Tonga Hut. Located above NYPD, a pizzeria on North Palm Canyon Drive, Tonga Hut has colorful and vibrant decorations typical of tiki bars. The restaurant features an eye-catching clamshell and lava rock fountain, rich dark wood-paneled walls, and fishing nets hanging from the ceiling. The authentic art pieces from the Pacific Islands are especially spectacular, and some are even fit for museums. Be sure to try one of their creative drink concoctions; whatever you choose, you can’t go wrong. The food comes out of the adjoined Polynesian restaurant Hideaway, and their authentic pupu platters, served on real wooden carved platters, are simply delicious. Johannes Restaurant, located on South Indian Canyon, is a bright, cheerful, and modern restaurant that you might find anywhere in the world if it weren’t for the unique food. Austrian-born award-winning chef and owner Johannes Bacher displays his Austrian origins in his cooking, but his travels all across continental Europe and the rest of the world also play a strong role in his menu. Lovers of Austrian food will appreciate the Schnitzel Lovers Menu, but if you want to venture away from schnitzel, try the Organic Chicken Curry with green beans, garbanzo beans, cauliflower, and tomatoes with yellow curry coconut sauce over organic Basmati rice. The wine list is excellent and extensive. 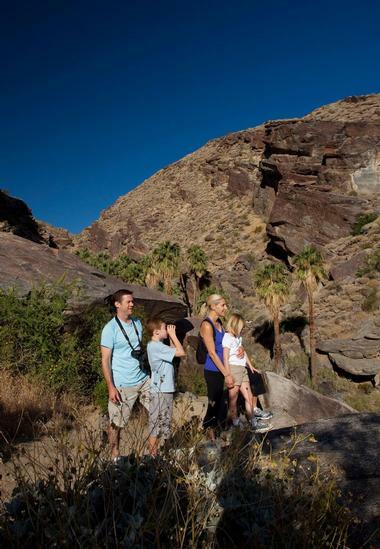 Located on Lennon Place, Desert Adventures is an eco-tour company offering a variety of tours in the Greater Palm Springs area. The establishment was originally founded in 1987, and experienced guides and drivers in red Jeep Scramblers lead the tours. The tours are in-depth, educational, fun, and location specific. Their 800-acre Metate Ranch in the Indio Hills is a base for jeep tours, sightseeing tours in buses, hiking tours, and school programs, while their Enchanted Desert facility provides a venue for events like corporate meetings, weddings, and other celebrations. Some of their tours include the San Andreas Fault Sunset and Stargazing Jeep Tour, the Palm Springs City and Celebrity Home Tour, and the Joshua Tree National Park Tour. The Purple Palm restaurant is located in the beautiful, refined Colony Palms Hotel, which once served as a clubhouse for the members of the notorious Purple Gang from Detroit during the 1920’s. The restaurant overlooks a pool and garden area, and with its colorful rattan chairs, it emits an air of convivial elegance. You can sip a mimosa while enjoying your breakfast by the pool and imagine the dangerous but fascinating individuals who once frequented that same location decades ago. Chef Cale Falk adds to the air of decadence with his eclectic but highly original and appealing menu. He uses fresh local ingredients from his own network of suppliers and prepares memorable dishes such as the Pan Roasted Diver Scallops with braised chanterelle, parsnip cream, and a pomegranate glaze. The Palm Springs Air Museum is an educational institution located on North Gene Autry Trail on the northeast side of the Palm Springs International Airport. The museum’s goal is to demonstrate the role of World War II warplanes and the pilots and related personnel who helped win the war. The museum contains one of the world’s largest collections of World War II combat aircrafts as well as aviation artwork, artifacts, and library resources. There are three exhibit hangars, a gift shop, a theater, and an education center. 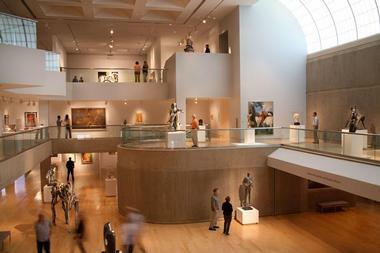 The museum is frequently rented out for public events such as balls and private parties. Group tours and school tours are also available. The museum is open every day. Uptown Design District or simply Uptown, as the locals call it, is the place to go for vintage furniture pieces or unique home accessories in the Hollywood Regency or postwar modern style. And when they get hungry, they go to Cheeky’s, the place where trendy hipsters mix and mingle with snowbirds at umbrella-covered tables with translucent orange chairs. The small venue, which seats 30, occupies the former Peppertree bookstore, and the outdoor seating area is especially popular. Palm Springs native Tara Lazar, the restaurant’s young chef and owner, surprises guests with healthy, fun, and creative breakfasts and eclectic lunches. The menu rotates every week, but be sure to try the Roasted Yam Sandwich loaded with feta cheese, red onion, cilantro, and tomatoes and smothered with mayo. 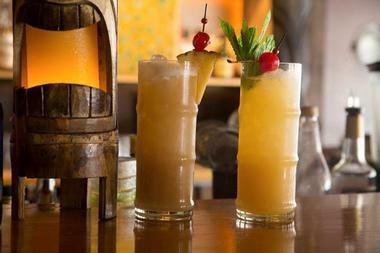 You can order refreshing alcoholic or non-alcoholic drinks to go with the healthy and delectable cuisine. All the rooms have been uniquely arranged and designed. Some have their own garden patio while others have a fireplace or record players and old records. The hotel is also known for its many communal fireplaces, which are great areas to strike up conversations with other guests. There are two large pools, a vintage photo booth, fabulous room service, a gym, and free Wi-Fi. The Amigo Room Bar stays open late and has live music and all sorts of daily activities. Ace Hotel is kid- and pet-friendly. 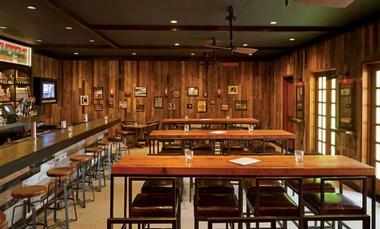 Bootlegger Tiki is a tiny speakeasy and tiki bar – a fun combination that could only work in Palm Springs. 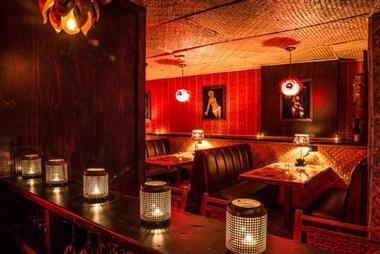 The subtle Polynesian touches, which include a few torches and colorful posters, complement the speakeasy atmosphere, complete with dim lights and dark leather booths. This place is always hopping at happy hour, so come check it out. The bar occupies the same space as the legendary bar Don the Beachcomber. Bootlegger Tiki inherited not only the location, but also some of the original bar’s famous cocktail recipes. Watch the bartender mix up imaginative craft cocktails and chat with your friends while watching the hip crowd around you. More weekend destinations: Best Things To Do in Santa Rosa.